During the “primary rut” of mid September to mid October, gear up for a 7 day, fully guided hunt from a remote, wilderness camp located in a prime area with very low hunting pressure. River and creek systems, lakes, forest trails, and cut-blocks provide our hunting opportunities in an area that has huge trophy potential. In camp, clients will find spacious, wood heated 14’ x 16’ wall tents, hot water showers in a privacy tent, all meals prepared by a camp cook, top shape four wheel ATV transportation from camp and experienced professionals guiding them during their hunting adventure. 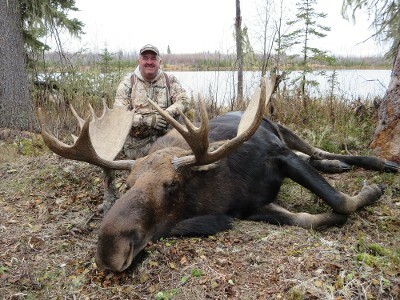 This camp, located in the middle of “moose country”, offers incredible adventure and hunting opportunity, the moment you step out the tent door each day. Black Bear, Wild Bison can be added to the Rut hunt to make a significant combination hunt, and Timber Wolf is always included. 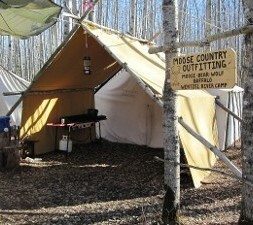 Price includes: pick-up at local airport (High Level, AB), transportation to and from hunting area, ATV usage, camp accommodations, camp meals, non-alcoholic beverages, field preparation and trophy care of animal, transportation of animal to local meat cutting business (hunt price does not include licences, meat cutting fees, alcoholic beverages and gratuities).